Direxion Daily Natural Gas Related Bull 3X Shares seeks daily investment results of 300% of the performance of the ISE Revere Natural Gas Index (the Index). The ISE-REVERE Natural Gas Index has been created to provide investors with a product allowing them to quickly take advantage of both event-driven news and long term trends in the natural gas industry. The securities selected for the index derive a substantial portion of their revenues from the exploration and production of natural gas. The Fund operates in a range of sectors, which include oil and gas exploration and products, integrated oil and gas, and gas utilities. Rafferty Asset Management, LLC is the Fund's investment adviser. Sign-up to receive the latest news and ratings for GASL and its competitors with MarketBeat's FREE daily newsletter. What is Direxion Daily Natural Gas Related Bull 3X Shares' stock symbol? Direxion Daily Natural Gas Related Bull 3X Shares trades on the New York Stock Exchange (NYSE)ARCA under the ticker symbol "GASL." Has Direxion Daily Natural Gas Related Bull 3X Shares been receiving favorable news coverage? News coverage about GASL stock has been trending somewhat negative recently, according to InfoTrie Sentiment Analysis. The research firm ranks the sentiment of press coverage by analyzing more than six thousand news and blog sources. The firm ranks coverage of public companies on a scale of negative five to positive five, with scores closest to five being the most favorable. Direxion Daily Natural Gas Related Bull 3X Shares earned a media sentiment score of -1.4 on InfoTrie's scale. They also assigned press coverage about the company a news buzz of 2.0 out of 10, meaning that recent press coverage is very unlikely to have an effect on the stock's share price in the near future. What other stocks do shareholders of Direxion Daily Natural Gas Related Bull 3X Shares own? Based on aggregate information from My MarketBeat watchlists, some companies that other Direxion Daily Natural Gas Related Bull 3X Shares investors own include Chesapeake Energy (CHK), NVIDIA (NVDA), BP (BP), SVMK (SVMK), Wynn Resorts (WYNN), AbbVie (ABBV), CVS Health (CVS), Mplx (MPLX), Amkor Technology (AMKR) and Amgen (AMGN). Who are Direxion Daily Natural Gas Related Bull 3X Shares' major shareholders? Direxion Daily Natural Gas Related Bull 3X Shares' stock is owned by a number of of institutional and retail investors. Top institutional investors include XR Securities LLC (0.61%). Which major investors are buying Direxion Daily Natural Gas Related Bull 3X Shares stock? 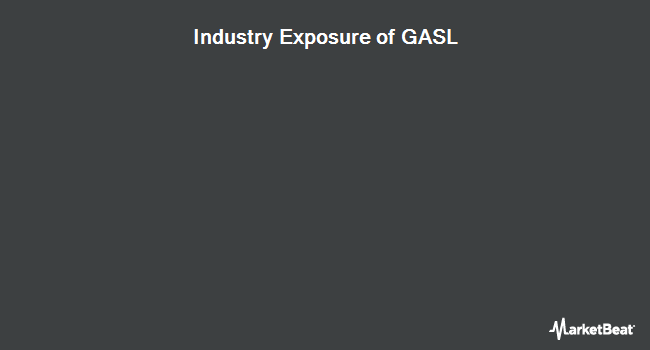 GASL stock was purchased by a variety of institutional investors in the last quarter, including XR Securities LLC. How do I buy shares of Direxion Daily Natural Gas Related Bull 3X Shares? Shares of GASL can be purchased through any online brokerage account. Popular online brokerages with access to the U.S. stock market include Vanguard Brokerage Services, TD Ameritrade, E*TRADE, Scottrade, Fidelity and Charles Schwab. What is Direxion Daily Natural Gas Related Bull 3X Shares' stock price today? One share of GASL stock can currently be purchased for approximately $8.45. How big of a company is Direxion Daily Natural Gas Related Bull 3X Shares? Direxion Daily Natural Gas Related Bull 3X Shares has a market capitalization of $33.87 million. What is Direxion Daily Natural Gas Related Bull 3X Shares' official website? The official website for Direxion Daily Natural Gas Related Bull 3X Shares is http://direxionshares.com/. How can I contact Direxion Daily Natural Gas Related Bull 3X Shares? Direxion Daily Natural Gas Related Bull 3X Shares' mailing address is 10TH FLOOR, 33 WHITEHALL STREET, NEW YORK, NY 10004, United States. The company can be reached via phone at +1-866-4767523. MarketBeat's community ratings are surveys of what our community members think about Direxion Daily Natural Gas Related Bull 3X Shares and other stocks. Vote "Outperform" if you believe GASL will outperform the S&P 500 over the long term. Vote "Underperform" if you believe GASL will underperform the S&P 500 over the long term. You may vote once every thirty days.